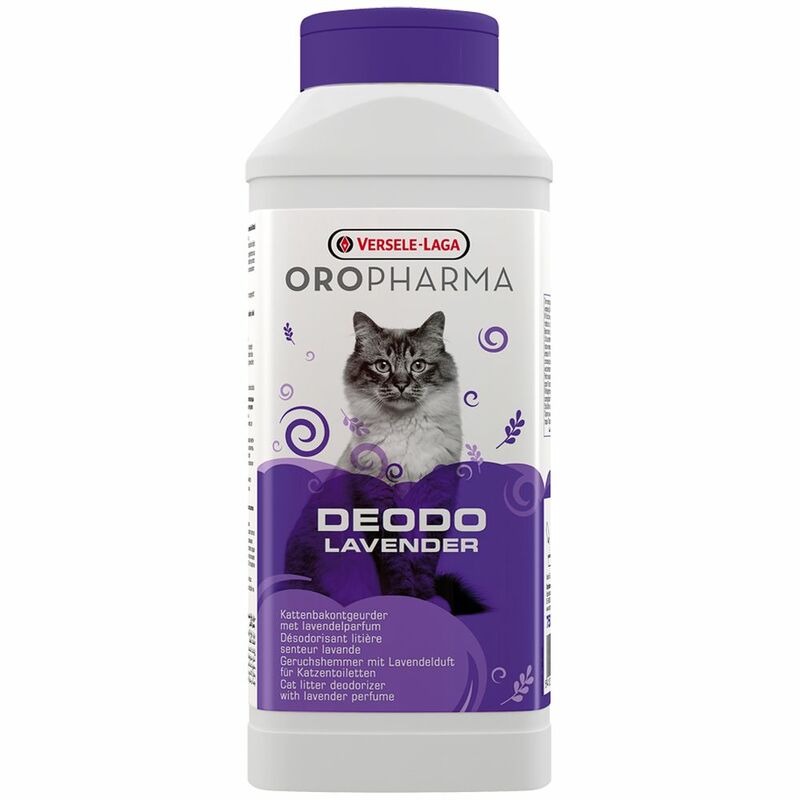 Versele-Laga Oropharma Deodo Odour Binding Agent is an odour neutraliser for cat litter trays. It is available in either floral or lavender fragranced varieties, to make your cat's litter tray smell a lot more pleasant. The Deodo powder does not just hide unpleasant fragrances, it binds and neutralises them to create long-lasting freshneΒ. This product is easy to use: simply strew it evenly acroΒ the bottom of the cat litter tray and then put the litter on top. It can help to keep litter fresh for longer, which can create savings for you. Versele-Laga Oropharma Deodo Odour Binding Agent 750g at a glance: Odour binder and neutraliser for cat litter trays Ideal for use with open litter trays Binds and neutralises odours: for long-lasting freshneΒ Extends the life of cat litter: to help you save money Pleasantly fragranced: fresh flowers and lavender Practical shaker container: easy to spread the product acroΒ the base of the tray Usage instructions: Sprinkle the deodorant grains evenly over the floor of the cat litter box before filling it with conventional cat litter. One pack can remove the odour from 20kg of cat litter.